CLLR KEITH HENRY is one of the younger councillors and candidates putting his name forward. 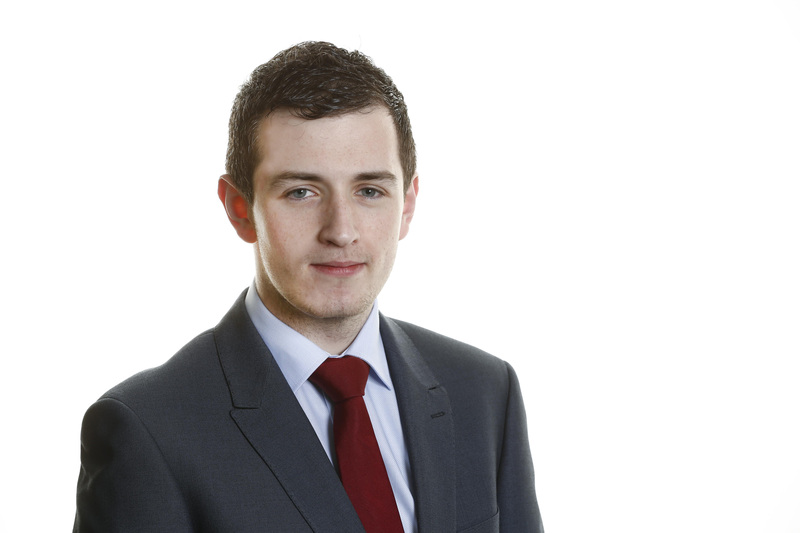 Despite only being in his 20s, the Ballymote man has three years of experience as a councillor having being co-opted and also cut his teeth in Ógra Fianna Fáil, the student branch of his party. “Having been a Councillor for the past three years I’ve really enjoyed the role of helping shape how our locality develops and assisting communities access funding. I reflected on what I have done over that time and came to the decision that there’s so much more I want to do so that’s why I’m running. I’m a first-time candidate but people can also judge me on my record over the past three years and on where I want to see Sligo going over the next five. I really feel that in rural areas we need representatives who will fight hard for every single euro of investment or funding they can get,” he said. Given his age, Cllr Henry feels it is not a disadvantage, but rather a different perspective he gives. “At 27 years I’m the youngest councillor presently and youngest candidate in the county I think I offer new deas and solutions to problems. Through my studies in college on my path to becoming a teacher I’ve been exposed to new ideas, people and places. If you do the same things over and over you’ll get the same results. I think I’ve brought a few new initiatives to the council that shows that I can be innovative. We need to be thinking long-term and not just in five-year cycles,” he said. Making Sligo an attractive prospect for people is one of the key objectives on Keith Henry’s list. He said: “I want to make Sligo an attractive area for people to live, work, visit and raise a family in. I’ve represented other organisations and Sligo County Council nationally and internationally so I think I have the ability to sell the Sligo message to those who are looking for opportunities here. Health, housing and roads are areas which Cllr Henry hopes to tackle immediately if elected. He said: “Our hospital and health system is at capacity breaking point and as HSE West member I’ve been continuously questioning officials. Our rural roads are in a terrible condition due to the lack of funding provided from government. “Our elderly cannot live at home in comfort due to rural crime and a reduction in housing adaption funding by this government. Many of our young people don’t stay here as they see better opportunities outside of Sligo. Farmers are to the pin of their collar due to big business dictating prices and we can’t even drink our water in most of south Sligo. The rural community way of life is slowly disappearing.” Cllr Henry, a vote for him is a vote for working for the community. “My message is that there are new people like me and new ideas out there to try and make Sligo a better place. The electorate just needs to give those people a chance and if they’re not happy they can make a call on it in five years’ time again. I’m here to help anyone and any group who needs it. That’s always been my approach to politics,” Cllr Henry concluded.